Nick Middleton's background is in the physical side of geography but his interests span the entire subject. His academic role is supplemented by his work as an environmental consultant and freelance author having written more than 300 articles in journals, magazines and newspapers, and 22 books. He is very active in popularizing geography, environmental science and travel, through his writing, public speaking and as a television presenter. 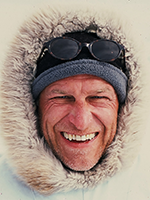 A Fellow of the Royal Geographical Society (with the Institute of British Geographers), Nick has served on the Council of the RGS/IBG and on its Expeditions and Fieldwork committee. He has worked as a consultant to several United Nations agencies, including the UN Development Programme (UNDP) and the UN Environment Programme (UNEP), as well as the World Conservation Union (IUCN), the EU and WWF. Nick also works for the Economist Intelligence Unit as an economic and political analyst on the Horn of Africa. His books have been translated into more than a dozen languages and his television programmes broadcast all over the world. Nick's main research interest is in the nature and human use of deserts and their margins, environments commonly referred to collectively as drylands. 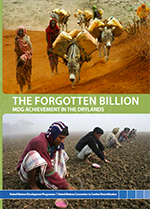 His publications in this area include The Forgotten Billion: MDG Achievement in the Drylands (UNDP-UNCCD, 2011), Desert Dust in the Global System (Springer, 2006), World Atlas of Desertification (second edition, Arnold 1997) and Desertification: Exploding the Myth (Wiley, 1994). He is currently working with UN Environment on sand and dust storms following several resolutions on the issue by the UN General Assembly. Nick also works and teaches on a wide variety of environment and development issues. He has written on environmental topics for schools (e.g. Atlas of Environmental Issues, Oxford University Press, 1988), popular audiences (e.g. Rivers: A Very Short Introduction, Oxford University Press, 2012), undergraduates (e.g. 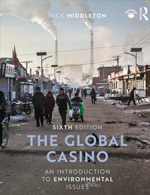 The Global Casino: An Introduction to Environmental Issues sixth edition, Routledge, 2019), and for policy-makers (e.g. Intellectual Property Rights: A Battleground for Trade and Biodiversity?, IUCN, 1999). The Gobi Desert has long been a source of particular fascination, an interest pursued as part of a Leverhulme Trust project on Climate Hazards in the Gobi with Prof. David Thomas, Dr Henri Rueff and Dr Troy Sternberg. The focus was on environmental dynamism and extreme climate events, how they impact herders and other dryland inhabitants, and the effects of different economic and political systems in Mongolia and China. Always a firm believer in the steadfastly geographical maxim that travel broadens the mind, Nick has visited more than ninety countries, on a variety of missions. Foreign travel also provides him with the material for his other geographical passion: writing travelogues - see The Last Disco in Outer Mongolia (Phoenix, 1992), Kalashnikovs and Zombie Cucumbers: Travels in Mozambique (Phoenix, 1994), Travels as a Brussels Scout (Phoenix, 1997), Ice Tea and Elvis: A Saunter through the Southern States (Phoenix, 2000). In 2002, he won the Royal Geographical Society's Ness Award in recognition of widening the public enthusiasm for geography through his travel writing. His most recent travelogues - Going to Extremes (Pan, 2003), Surviving Extremes (Pan, 2004) and Extremes along the Silk Road (J Murray, 2006) - were written in association with three four-part television documentaries broadcast by Channel 4 in the UK and National Geographic Channel in most other parts of the world. In Going to Extremes, Nick travels to the world's hottest, coldest, wettest and driest inhabited places, and the success of this series was followed by Surviving Extremes in which he investigates how four traditional communities adapt to life in harsh environments: the Inuit in northern Greenland, the Congo's Biaka pygmies, the Tubu of the Ténéré Desert and the Kombai of Papua. Going to Extremes: the Silk Routes is a string of similar adventures among traditional societies across Central Asia. See also www.nickmiddleton.net and Google Scholar. 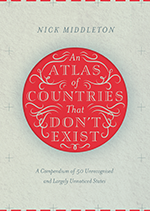 Middleton, N. (2015) An Atlas of Countries That Don't Exist: A compendium of fifty unrecognized and largely unnoticed states. Macmillan. pp. 240. ISBN: 9781447295273. Middleton, N. (2012) Rivers: A very short introduction. Oxford University Press. pp. 152. ISBN: 978-0-19-958867-1. 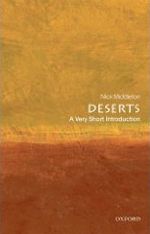 Middleton, N. (2009) Deserts: A very short introduction. Oxford University Press. pp. 144. ISBN: 9780199564309. Middleton, N. (2008) The Global Casino: An introduction to environmental issues, 4th edition. Hodder Education. pp. 512. ISBN: 9780340957165. 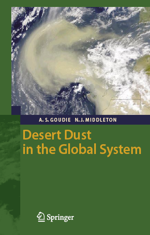 Goudie, A.S. and Middleton, N.J. (2006) Desert Dust in the Global System. Springer. pp. 287. ISBN: 978-3-540-32354-9. Gholami, H., Middleton, N., Samani, A.A.N. and Wasson, R. (2017) Determining contribution of sand dune potential sources using radionuclides, trace and major elements in central Iran. Arabian Journal of Geosciences, 10(163). Sternberg, T., Rueff, H. and Middleton, N. (2015) Contraction of the Gobi 2000-2012. Remote Sensing, 7(2): 1346-1358. Middleton, N.J. and Sternberg, T. (2013) Climate hazards in drylands: A review. Earth-Science Reviews, 126: 48-57. Middleton, N. (2011) The human impact. Chapter 22 in, Thomas, D.S.G. (ed.) Arid Zone Geomorphology: Process, Form and Change in Drylands, 3rd Edition. Wiley. 648 pp. ISBN: 9780470519080.